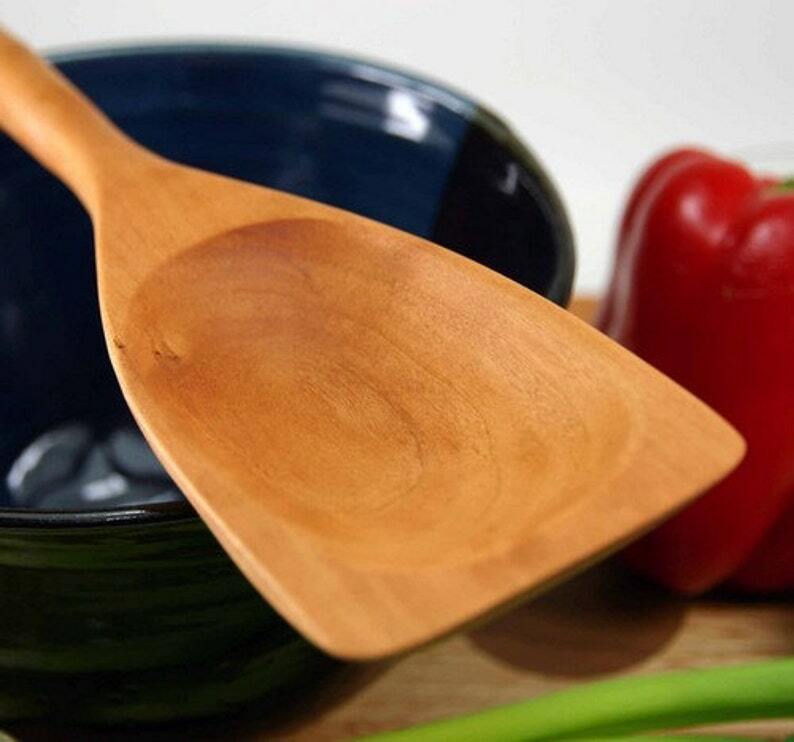 Big roux spoon is 13 to 14 inches long and 3 inches wide with a square end for scraping the bottom of the pot. The best roux spoon. Spoons and spatulas has been washed to raise the grain, then re-sanded and waxed with beeswax and mineral oil mix. Regardless of what some spoon makers say grain raises all the time after use. The grain will break, then fuzz up. Great paddle!! Exceeded my expectations!